Helsinki Lighthouse is a light installation/lamp designed by Finnish professor Timo Salli and it is a composition of light fiber and acrylic tube. The idea is to organize fibers by creating a circle of light beams, to create a space. Helsinki Lighthouse is a system of four differently shaped acrylic discs creates one Helsinki Lighthouse. The system is open for variations. Timo Salli has a unique aproach to his work. Often moving on the boarders of design and art. The Helsinki Lighthouse is a beautiful example of his pure and simple style. 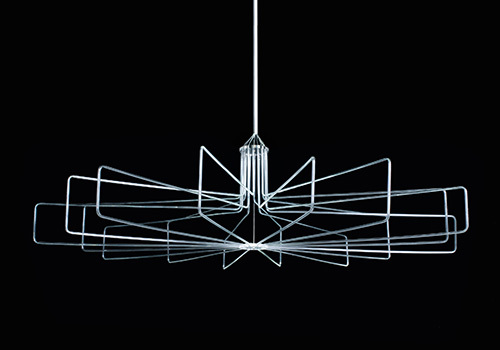 Helsinki Lighthouse was the best new product 2006 at the Helsinki Design Week and won the FORUM AID +1 award.